This week saw the release of Batman: Return to Arkham and I’ve been happily replaying Batman: Arkham Asylum (going so far as to finish it with all the Riddler trophies yesterday evening)…even though I already own and have played the game before. Since the days of the PS2, GameCube and Xbox, collections and rereleases have become quite common in the video game console market, especially with the most recent two generations that have seen the increased proliferation of “remasters” that repackage a game or games onto one disc with little more than a visual makeover in most cases. I’m also not referring to games like say, Iron Man or Thor: God of Thunder that had different versions across consoles and handhelds, I’m talking about the exact same game, just in new box with little more than a new coat of paint. Repackages like these wouldn’t be so common if people didn’t but them, and I like many have been guilty of double, or even triple dipping on games I’ve already owned. What makes us do this? Is it because we hope to recapture the joy of taking home some of your favourite games for the first time, even though that’s impossible? Do we want to own the best possible version of a game? 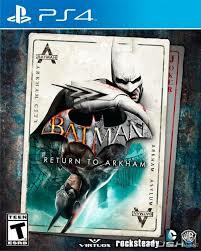 With so many new games coming out on phones, handhelds, consoles, and PC, it’s pretty careless to spend precious resources on software we already have on our shelves, and yet here we are, buying and replaying games like Batman: Arkham Asylum and City in the Return to Arkham collection. Today I wanted to share some of the games, mostly series, that I’ve shamelessly rebought over and over again. While there are many more than I actually care to share about that I’ve repurchaed over the years, these are the ones that I can’t seem to stop getting new versions of. Chris Clow of the Comics on Consoles podcast and I had a friendly “Arkham off” on Facebook the other day, and while I think he had me beat hands down, I still am guilty to buying all but one Arkham game twice; That’s probably because they haven’t put out a Game of the Year edition for Batman: Arkham Knight. Having received Batman: Arkham Asylum in 2009 as a gift from my parents for my PS3, I got an Xbox 360 Game of the Year edition in 2012 to have all the extra downloadable content on disc, and to score some achievements. Similarly, I bought the Game of the Year edition for Batman: Arkham City a year after I got the standard edition to again, have all the downloadable content on disc. After I got a Wii U, I added the Armored Edition to my collection to see the differences between it and the “standard” edition found on the PS3/Xbox 360. Much like how I got the Wii U port of City to see the differences, I did the same for 2013’s Batman: Arkham Origins. The handheld spin-off of Origins, Blackgate, was a day one purchase for my on my 3DS, as was the downloadable remaster, Blackgate Deluxe, which I played and competed on my Xbox 360. This past Tuesday of course I was one of the few people at EB Games to pick up a pre-order of Batman: Return to Arkham and not Battlefield 1. 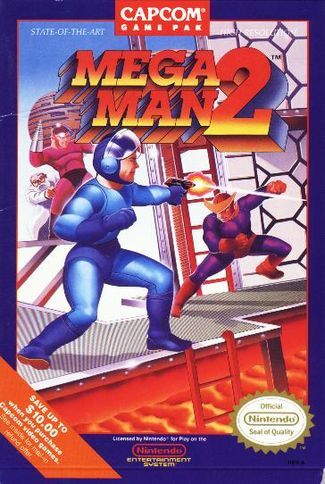 As long as I’ve played video games, I’ve loved Capcom’s Mega Man games and as long as they keep making them and reissuing them, I will probably end up buying them. I own the whole classic series in their respective physical media (1-8) as well as 9 and 10 digitally and over the years bought the Mega Man Anniversary Collection for PS2; A few on the Wii/3DS virtual console; PSOne classics from the PlayStation store; Mega Man Powered Up, a remake of the original game on PSP, about the only version I haven’t got is the Mega Man Legacy Collection that came out not too long ago, because I had to finally draw the line somewhere. A lot of these repurchases I can justify because in University, it was easier to have a collection as opposed to lugging my PS2, an NES and a SNES as well as a pile of carts. Much like the classic series, I at one point had all the Mega Man X games in their original physical format, but also picked up the Mega Man X Collection, at least part one on virtual console, Mega Man X4 on PSN, and Maverick Hunter X on PSP. Despite owning all three entries in the Mega Man Legends series, I downloaded all of them once they came out on the PSN as a vote with my dollars for Capcom to finally get a Mega Man Legends 3 into production. Wishful thinking I know, but a guy can dream. 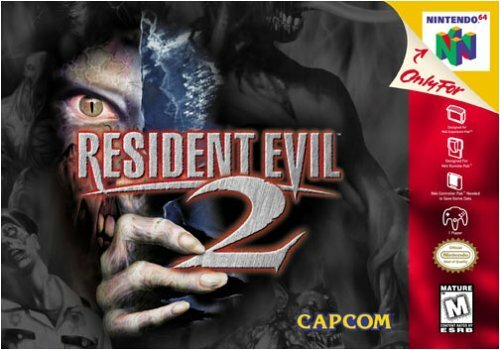 Owning an Nintendo 64, my introduction to Capcom’s survival-horror franchise came in late 1999 when Resident Evil 2 was ported to the N64. Once I finally realized what I was missing, I tracked down all subsequent sequels, spin-offs and remakes. Even though I owned chapter 2 on my Nintendo 64, I added the PSOne game to my collection once I got that console because there was an exclusive mini-game that featured Chris Redfield that didn’t make it into the N64 game. Once it was made available on the PSN, I bought 2, along with the original and Resident Evil 3: Nemesis, to play on my PSP. Speaking of Resident Evil 3: Nemesis, I found the Dreamcast port, which adds little more than VMU support to the game, at a flea market and just simply had to have it because it was on the Dreamcast. One of my favourite Dreamcast games, Resident Evil CODE: Veronica, was finally added to my collection once I became a PS2 owner in 2002 and was given the Dreamcast original many years later as a Christmas gift. The original Resident Evil was the game I played last in the series, yet I wound up with many different versions of it over the years. On PSOne I never owned the long box or dual-shock copy, but the Directors Cut with the Resident Evil 2 demo. Reading Nintendo Power and EGM, I saw ads for a port of Resident Evil for the Game Boy Color that unfortunately never came out, but a few years later a version was made available for the Nintendo DS, dubbed Deadly Silence, that I still have. When I finally got a GameCube, one of the first games I got for it was the incredible remake that came out for it in 2002, a game I bought the remaster for this summer on my PS4. 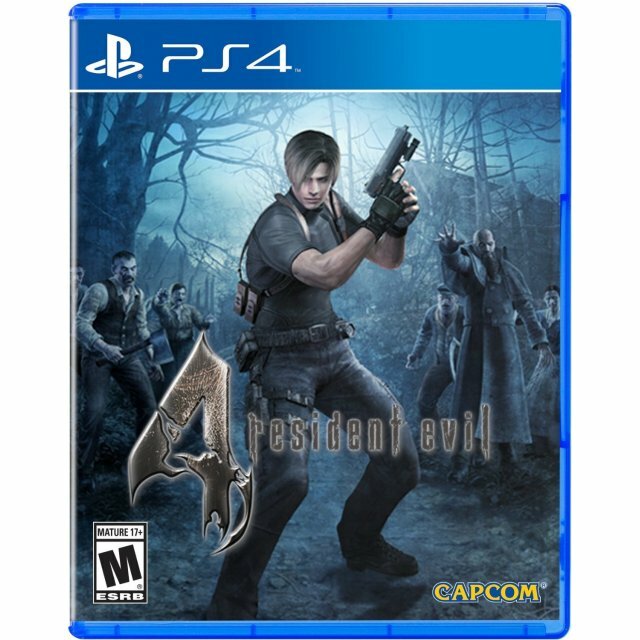 The reason I got a GameCube for Christmas in 2004 was to play Resident Evil 4, a game that came out for PS2 in the same year…that I bought again because it had more stuff. Starving for games to play on my Wii during the summer of 2007, I got what I feel to be is my favourite version of Resident Evil 4 for that console and like Arkham Asylum, downloaded it again on my Xbox 360 for achievements. I never played the original Metal Gear on NES, not until 2004 at least, but 1998’s Metal Gear Solid was such an important game to me. 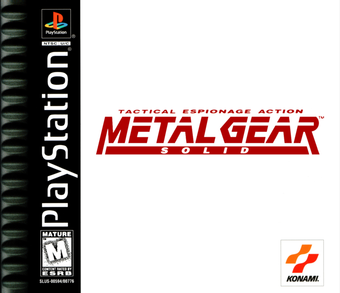 My first time playing it was when my brother got a PS1 for Christmas in 1999, and when he would go out to visit friends, I would play his copy of Metal Gear Solid. Having played Nintendo first-party games on my N64 that were more family friendly and lacking much of any story, seeing a game like Metal Gear Solid where in the opening minutes you hear haunting music, professional voice-acting, and run up and snap a guys neck showed me that game’s could mature beyond plat-formers and Kart racers. Diddy Kong Racing this game was not, and I LOVED it. Like the last two franchises, I bought Metal Gear Solid for myself as well as when it was on PSN to play mostly on my PSP. For the two sequels: 2: Sons of Liberty and 3: Snake Eater, I bought their respective directors cuts, a necessity in the case of Snake Eater as the overhead camera angles were not suited to that game at all. Given the drama surrounding Metal Gear series creator Hideo Kojima and publisher Konami, I didn’t end up actually playing Metal Gear Solid 5: The Phantom Pain, but I would like to think that there’s a parallel universe out there in which I not only bought it, but the complete edition that just came out. PS3 collections: Prince of Persia, Sly Cooper, Ratchet and Clank, God of War 1 &2: I mostly got these because it’s easier to have these on one disc and package as opposed to three. Beyond Good and Evil: Like Mega Man Legends 3, I supported this to hopefully show Ubisoft that this should get a sequel. Star Fox 64: My favourite chapter of my favourite Nintendo franchise, I have this on N64, Wii virtual console and 3DS. Legend of Zelda: Ocarina of Time: I’m probably not the only one who got this for Christmas in 1998, and I got this as a surprise bonus with my GameCube in 2004 as part of a Zelda collection. The remake of this on 3DS is probably my favourite versions of this game, and one of the few non-comic book games I own for my 3DS. Castlevania: One of my favourite series up there with Mega Man, I really didn’t rebuy a lot of entries for the series, save parts 1-4 on Wii virtual console and Symphony of the Night on PSN because the version found in Castlevania: The Dracula X Chronicles was weirdly cut on-screen. What games are you guilty of rebuying? Why not tell me in the comments below. I tend not to buy them when they’re new, but when they go on a flash sale. I just recently played through DMC: Devil May Cry Defintive Edtion, Tomb Raider 2013 and just picked up Darksiders: Warmastered (it was only $20). I feel like I rebuy the same COD every time it comes out…does that count?